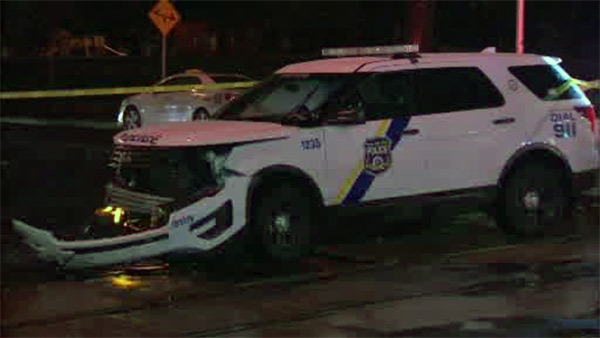 SOUTHWEST PHILADELPHIA (WPVI) -- One injury was reported after a crash between a police SUV and a civilian vehicle in Southwest Philadelphia. The crash happened around 8:30 p.m. Tuesday in the 6500 block of Elmwood Avenue. Police say the 12th District officer was traveling northbound along 65th Street when he struck a civilian car that was traveling westbound on Elmwood. The officer was not injured, but the civilian suffered injuries to the left arm. That driver was taken to the hospital with non-life-threatening injuries.